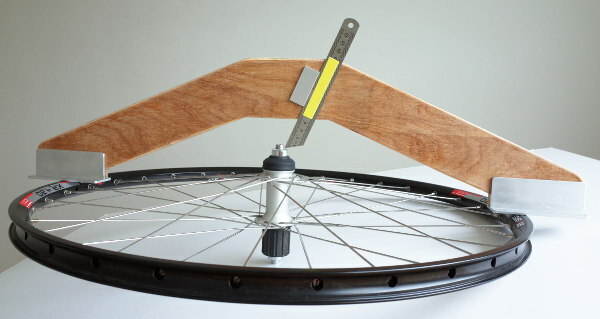 This page contains the download templates for making the dishing tool, a full description of how to make the tool is included in the wheelbuilding book (Edition 7). Note, the photo above is an early prototype, the one described in the book is the latest version. Print out the three templates and join them together. The width of the tool should be 680mm and the template will match the dimensions shown in the book. If it's smaller or larger than the one shown in the book then check your print settings and make sure you are printing the pdf's at 100% or actual size.